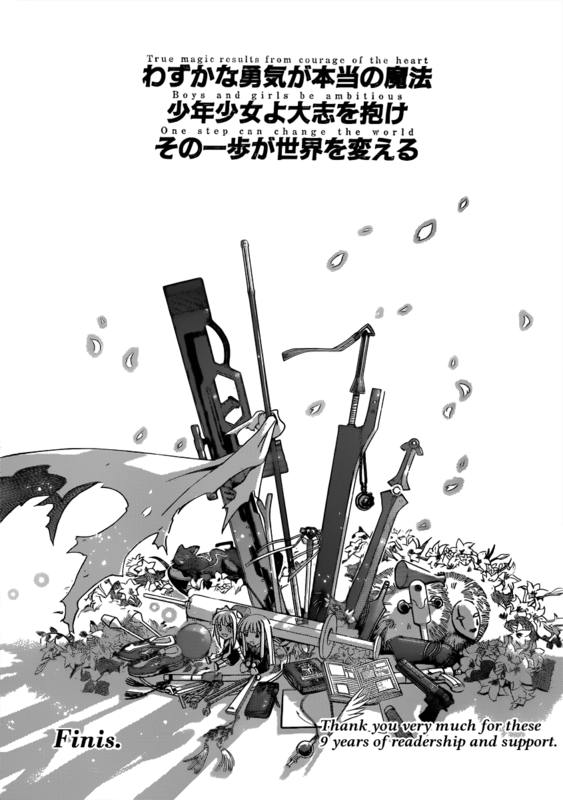 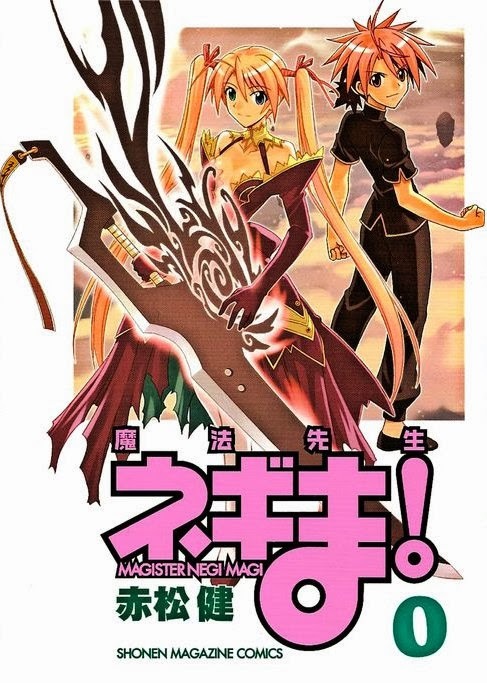 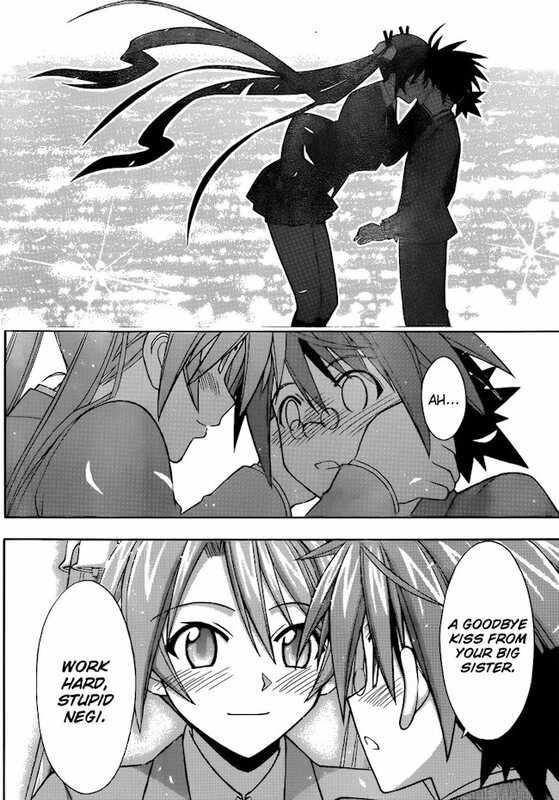 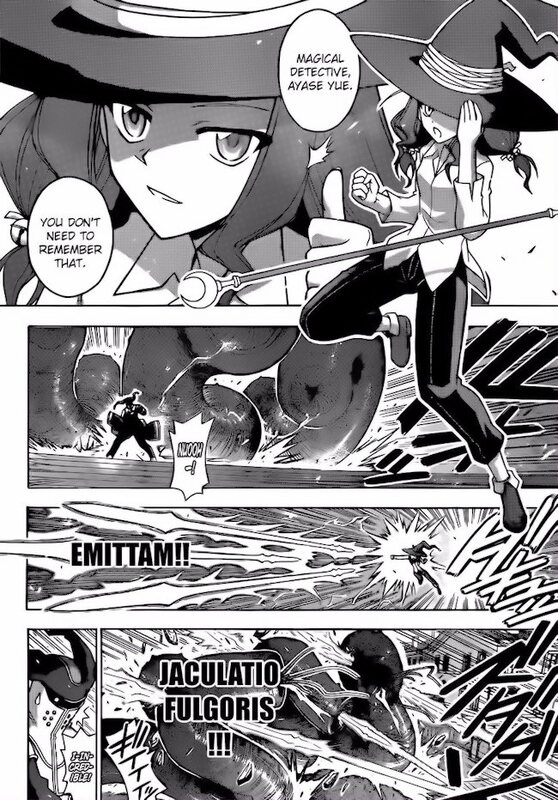 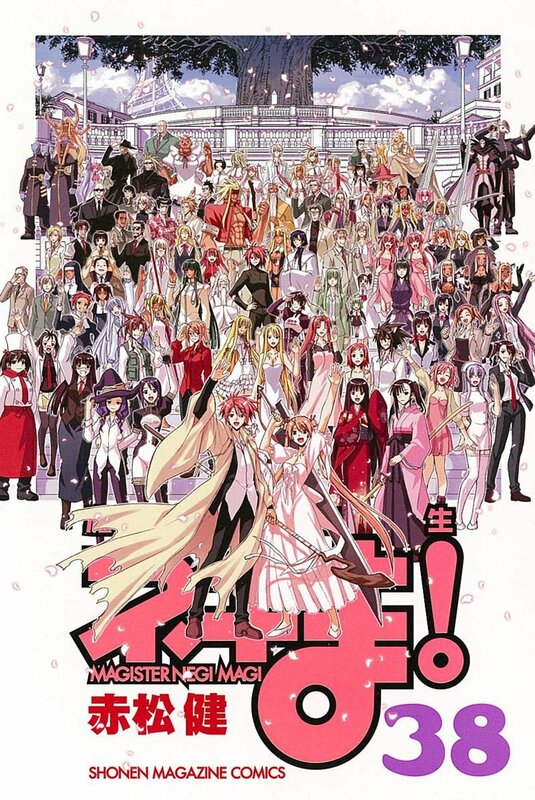 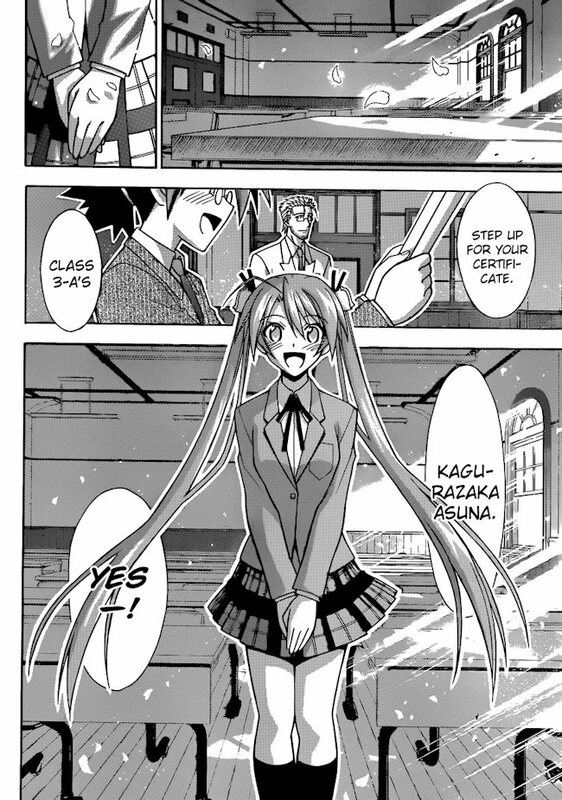 魔法先生 ネギま！Volume 38 Chapter 354 (manga) Mahou Sensei Negima! 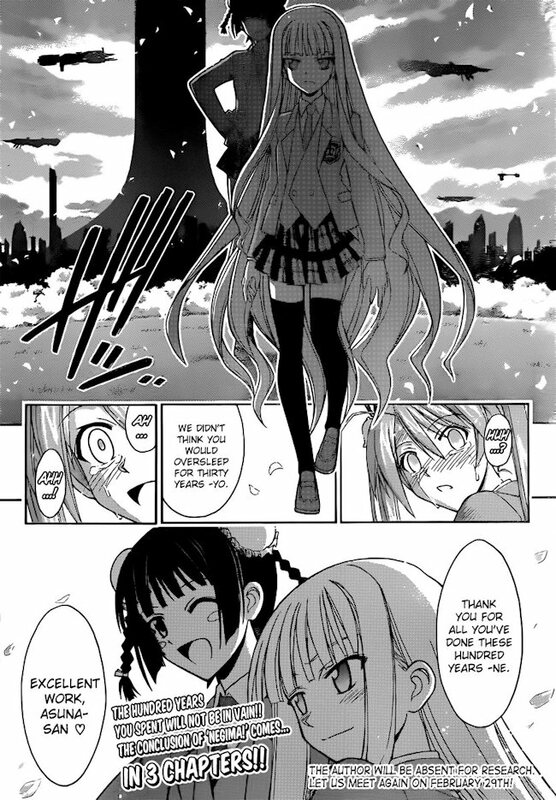 Manga Chapter 354 SPOILER Summary/Synopsis: Several years after Asuna’s return, Makie’s younger brother, Kagehisa, escorts a girl named Makoto down the avenue that Eva had attacked Makie long ago. 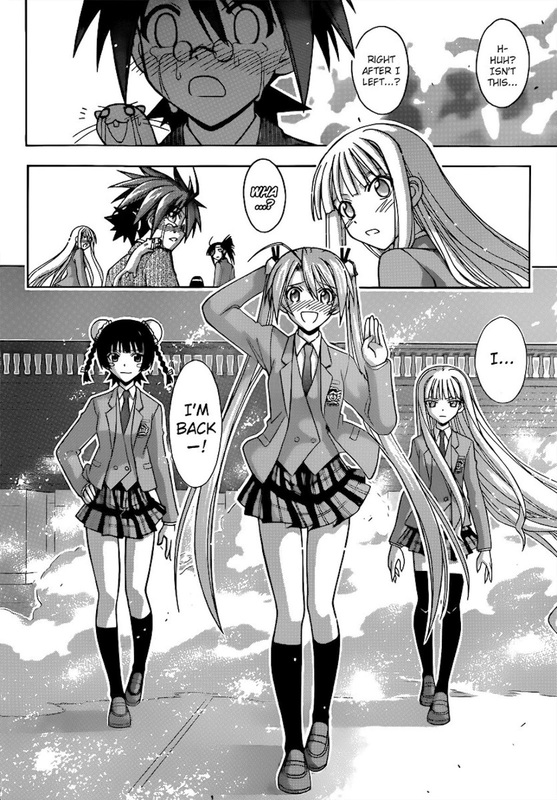 His reason for escorting Makoto with a bat is the monster attacks on girls for their underwear.